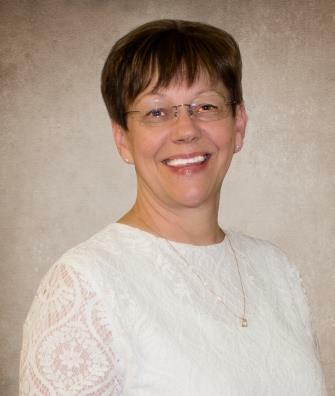 We are pleased to introduce Carolyn Hansen, certified family nurse practitioner (FNP-C). With more than 20 years of medical experience, she has risen through roles of increasing responsibility in the areas of operational leadership, strategic planning, and process improvement to become chief nursing officer (CNO) at Bingham Memorial. Prior to becoming CNO, Carolyn served as quality services director and bariatric program coordinator at Bingham Memorial. Her work directly influences strategic direction and ensures that patient-care service goals and initiatives are aligned to advance Bingham Memorial’s mission and vision statements and core values. As CNO, she manages, directs, plans, and coordinates the functions and activities of 13 departments, including case management, clinical education, infection control, IV therapy, wound care, rehabilitation services, risk management, and the geropsychiatric unit. She is a transformational leader to Bingham Memorial’s nearly 400 nurses throughout Eastern Idaho and the many certified technicians, pharmacy, and nutritional services team members she oversees. In addition, she assists the chief executive officer and Board of Trustees in the development, formulation, and implementation of hospital strategic plans; oversees and administers assigned patient care services; and, provides expert professional assistance to hospital executives regarding nursing-related matters. She also provides medical assistance in the emergency department and 1st Choice Urgent Care & Family Medicine in Blackfoot when necessary. Carolyn values education greatly. She earned her Associate in Nursing from Ricks College (now: Brigham Young University-Idaho) in Rexburg, Idaho, and holds a Bachelor of Science in Nursing from Idaho State University in Pocatello, Idaho. She also completed her Master of Science in Nursing from Simmons College in Boston, Massachusetts. Carolyn has been married to her husband, Kevin, for more than 30 years, and enjoys traveling and spending time with her four children and four grandchildren.